Each screen door is safely packaged and boxed for transport to any residence or job site. Everything but the screw driver is included, even the screws. 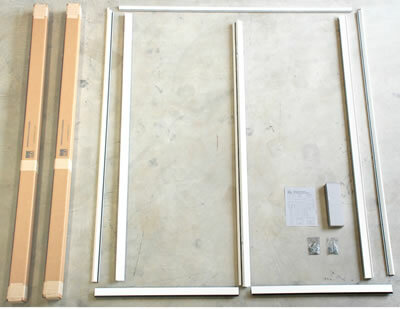 Full documentation for installing your new aluminum screen door. For more details, view our installation and information section.